Children who have a level of anxiety that prevents good coping skills or are very young and do not understand how to cope in a cooperative fashion for the delivery of dental care may need to be sedated. 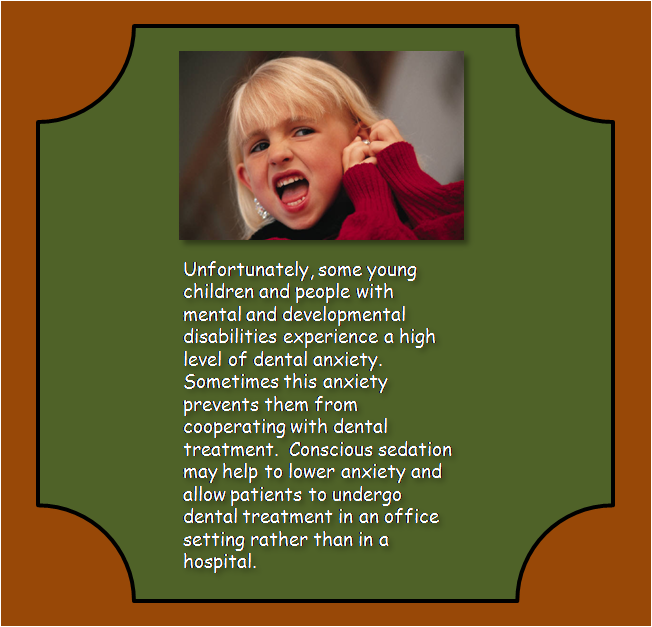 Additionally, conscious sedation is often helpful for some children who have special needs. Medications and dosages should be selected that are unlikely to cause loss of consciousness in the patient, so the child will most likely be awake through the procedure. Many different medications can be used for conscious sedation. Your pediatric dentist can give you information about the medications that he or she uses in their practice. When administered by a trained pediatric dentist who follows the American Academy of Pediatric Dentistry sedation guidelines, conscious sedation is a relatively safe procedure. That does not mean that there are no risks. Any time that a doctor administers a medication to a patient, even if it is just an antibiotic, there can be complications. Sedation is no different. While life-threatening complications are possible, they are very rare. Pediatric dentists are trained to handle most emergencies that can arise during a sedation appointment, and special procedures and monitoring devices are used to prevent problems. 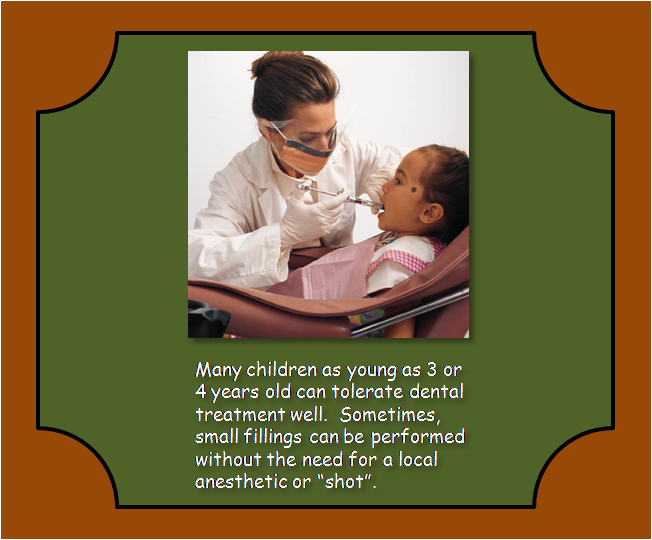 Your pediatric dentist will discuss sedation options and patient monitoring for the protection of your child. In order to make your childs sedation appointment as safe as possible, all pre-operative instructions, especially those regarding fasting before the appointment, should be strictly adhered to. In order to alleviate potential anxiety in your child, your pediatric dentist may recommend minimal discussion of the dental appointment with your child. Should your child become ill, contact your pediatric dentist to see if it is necessary to postpone the appointment. It is very important to follow the directions of your pediatric dentist regarding fasting from fluids and foods prior to the sedation appointment. Your pediatric dentist will not discharge your child until the child is alert and ready to go. Children who have been sedated are usually requested to remain at home for the rest of the day with adult supervision. Your pediatric dentist will discuss specific post-sedation instructions with you, including appropriate diet, physical activity, and requested supervision. This information is not intended to serve as dental or medical advice. Parents should consult their pediatric dentist to determine the best course of action in treating their childs dental needs.